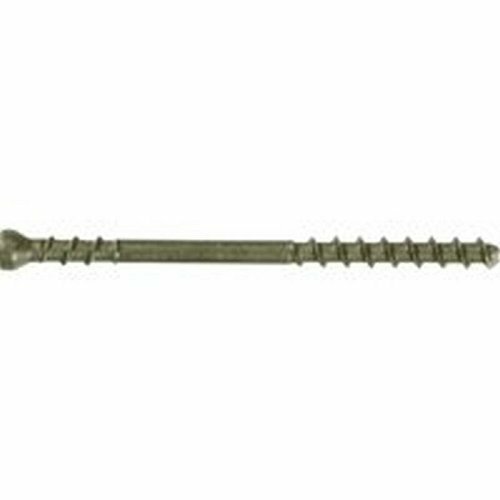 2-3/8" Heavy Duty Stainless Steel Trim Nails are manufactured with an aggressive lower thread pattern delivering superior holding power and a reverse upper thread that pulls the board tight to the joist providing a clean, finished entry. Features a unique trim head design for a less visible point of entry, star drive offering more points of contact for better performance while reducing slippage and wear with a reverse tip removing deck materials as it bores to allow the screw to penetrate the board without splitting. Compatible with all Marksman tools. Available in a 700 count. #8-32 x 1/2" Flat Head Torx Tamper Resistant Screw, 25 pk. By Simpson Strong Tie Co., Inc.